Your little one can have warm food away from home! Put approx. 80 degrees celsius warm food int he container and it is still approx. 40 degrees C after 10 hours. 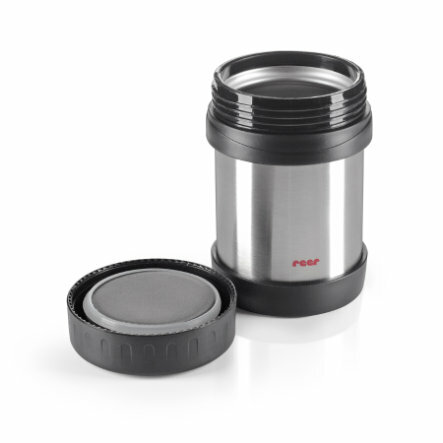 The unbreakablestainless steel container is also suitable for cold foods. It can hold up to 350ml and thanks to the screw on lid it is easy to open and close. This container is also LFGB certified.